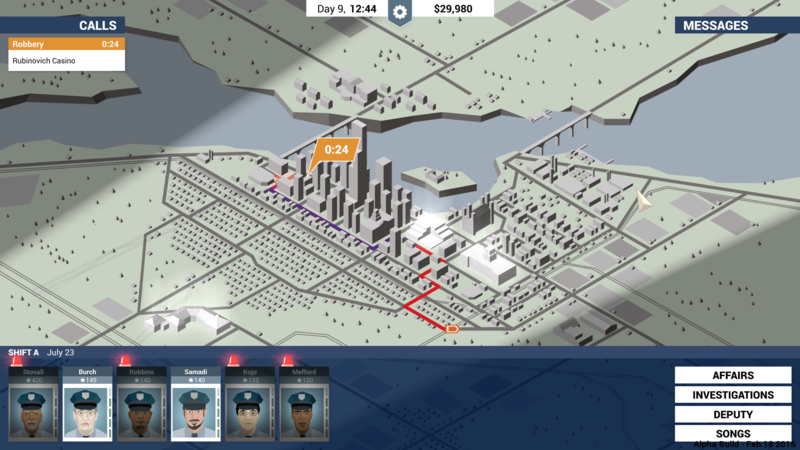 This Is the Police is a strategy/adventure game from Weappy Studio set in a city spiraling the drain, the game isn’t actually out yet and there is a review embargo in place at the moment so I won’t really tell you much about what I think of it, but I can still tell you about the game itself. 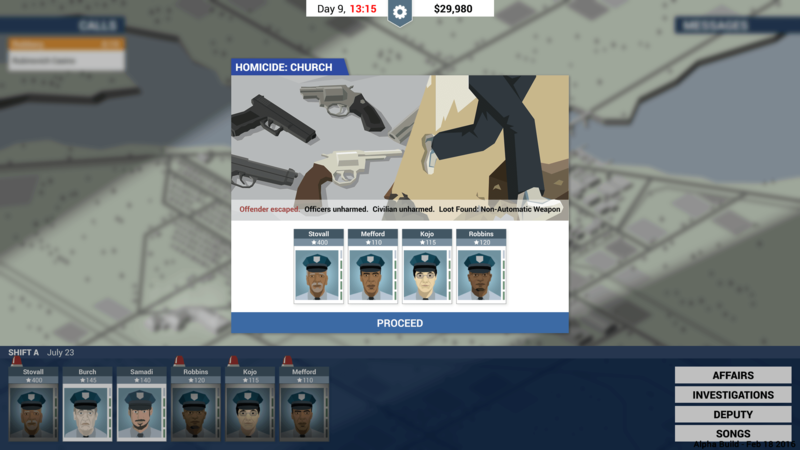 You’re taking the role of gritty Police Chief Jack Boyd – you’ll come face to face with the ugly underbelly of Freeburg, a city spiraling the drain. Will Jack see his retirement with a nice sum of money waiting to be spend or will he end up broken … or even worse? Make 500.000$ in 180 days, before Jack Boyd goes to retirement. How? Up to you! This Is the Police is all about a dark story and how you react to it. Whatever you decide, it will influence your game – and the fate of Jack Boyd. Ok, as I said I can’t really talk too much about it, but I’m going to say that so far it’s great and has really surprised me with how in-depth it goes… That’s all though! Also, keep an eye out for the review around the release date – 28th July. 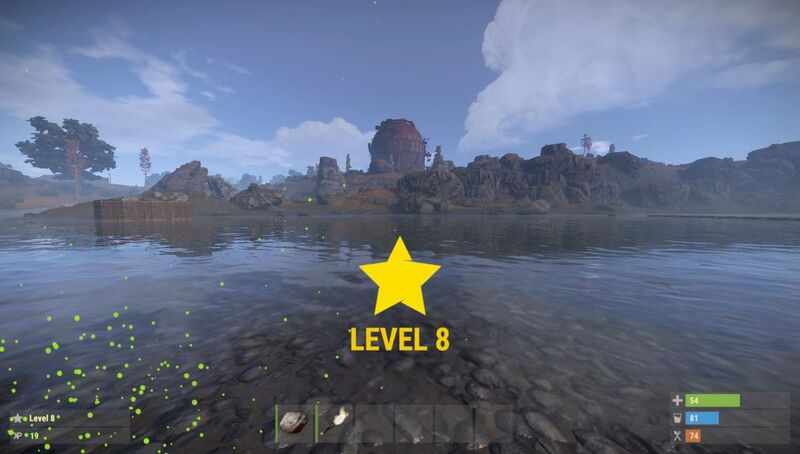 Last week we finally got the release of the long awaited XP system update to Rust, now there are levels and, yes, XP to gain whilst playing. Hitting new levels unlocks new items for you to build, but in order to be able to create them you’ll need to spend XP to unlock them first. This means that you now don’t have to rely on RNG and collecting blueprints to unlock items. But, at the moment it does feel a little grindy and could potentially mean that the more casual player might not be able to get access to the best gear until close to the monthly reset. Let’s be honest, no one really wants to be grinding away for weeks to get enough XP to unlock a weapon only for wipe day to come along meaning you have to start all over again. I think it needs a little more time to really get a feel for it, but I’m positive about it and hopefully it will turn out well in the end. One thing is for certain, is that it will probably undergo a lot of tweaks in the new few months. I’m still playing quite a lot of Overwatch, but at the moment I’m trying to get better at some of the characters I’ve not use as much mainly Symmetra and Mei. I hate Mei, she has to be one of the most annoying heroes to play against – especially if she’s in the hands of someone who knows what they’re doing. Her annoying smirk on her face as she slowly freezes you drives me nuts. however, she is pretty fun to play because I can annoy people just as much! 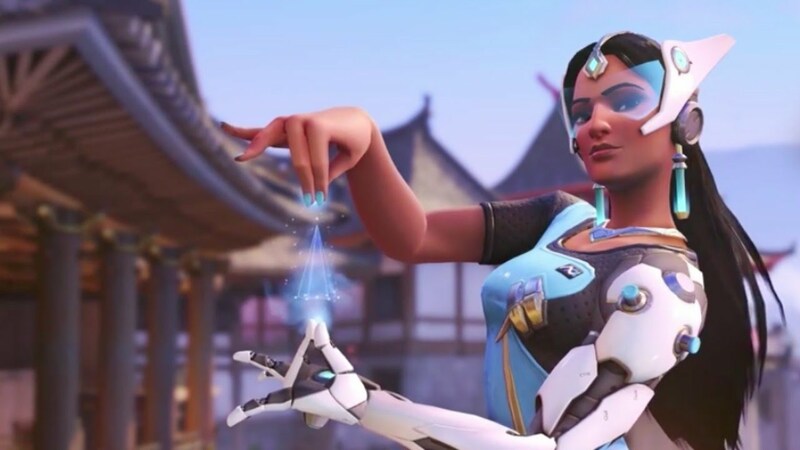 Don’t underestimate a good Symmetra! As mentioned last week I’ve currently got a save going at the moment in which myself and friends who also own the game and a PS4 are playing together. We didn’t get any chance to play over the weekend as I was away visiting Croyde. But before the weekend we’ve made great progress on our world. We’ve decided it was time to leave our current house that we’d been fixing up in search of an area near a water supply and forest. After a long trek we stumbled across an exact replica of the house we left, but in a lot better condition with the forest on our doorstep out of the front, and a river behind us. One of our players has taken up the role of mining and smelting. He researched what was needed for the forge and has since then been in charge of making our tools and weapons. There was one scary encounter where out on a trip for clay, he dug too deep and go himself stuck in a clay pit many meters below earth. Commence rescue mission from our other player and myself. I’ve taken to hunting and cooking, while the others are gathering supplies and fortifying the base, I’m out hoping to not encounter any bears or zombies while chasing elk and pigs. I had an amazing chicken kill which apparently looked hilarious from one of the other players point of view, but it must have glitched out as after using the shiv to collect from it, all the goodies weren’t in my inventory. There is one downside to our new home, we’re very close to the scorched areas of the world, so our temperatures are increasing quickly when we head out that way to explore. No pictures to post, as they’re all on my PS4, and I’ve not posted any since home from my weekend away. But expect another update next week. When I got back from my weekend down south, I didn’t fancy 7D2D, and thought it could be short notice to gather the players, so I opted to try and finish the missions on Prison Architect. The final mission is an awesome challenge and really sets you up for how to plan to build your own prison in free for all mode. Makes you appreciate the need for grants rather than just chucking the funds to unlimited. Looking forward to making another prison from scratch now, think this will be my 3rd one now. I’m finally playing Pokemon GO, late to the party but here I am. Unfortunately Croyde and Woolacombe don’t appear to have 3G, 4G or Wireless anywhere, so I was very limited to my experience with it over the weekend. However once we ventured to Ilfracombe mobile phones existed there, so I was able to use 4G to take part in the game. It’s incredible how popular this game is. On the walk from the car park to the waterfront in Ilfracombe, one of the chaps I was with took over a gym, we walked to the promenade and someone was using a lure, so we waited there for a bit. A couple both glued to their phones walked by us and stopped literally right in front of us. We kinda both awkwardly looked at them, they looked at us… a semi smile and chuckle broke out and my friend said “bet I know what you’re playing…” and they laughed agreed, and we just stood there till the lure wore off and went our own ways. On the walk back to the car, some members of team blue had taken the gym back over. That quickly… It’s amazing. Nintendo, in the year 2016, will be releasing the NES. Yes that’s correct, the NES is coming back. 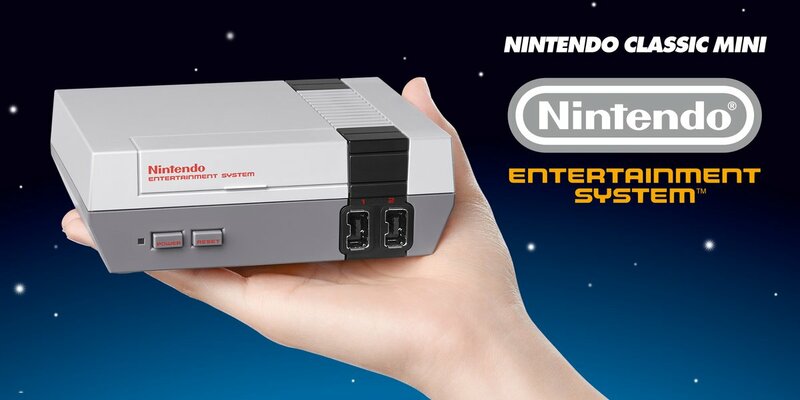 On November 11th, for $60 you can pick up a new NES with 30 classics pre-installed. The game remaster’s that have taken this generation is one thing, but a console remaster, who’d have thought it? But it’s an absolutely genius idea. The 30 games already installed aren’t exactly shabby either with both the classic Zelda titles, Mario, Final Fantasy, Punchout, Pac-man, Ninja Gaiden, Metroid and more all there. Additional NES remotes can be purchased for multiplayer too. I’ll be picking one up that’s for sure, and highly anticipate a SNES with 30 installed games on it, and dare I say it, a N64 too?